There are a number of services that Orange County photographer Carol Bridges offers her clients. There's literally a service for every type of photography you can imagine and then some. Additionally her services vary in price so that regardless of budget customers can capture important moments in time. This month we'd like to feature Carol's "Once Upon A Lifetime Photos" services. Typically Once Upon a Lifetime photos center around or focus on a pregnancy. Carol doesn't simply take pregnancy pictures but instead creates a montage of photos that begin at the onset of pregnancy and continues through the entire 9 months and end after the birth of the child. The time during which a couple are expecting a child is a precious yet fleeting time in the lives of the parents to be. The short-lived nature this time makes it a perfect candidate for a photo shoot. As this time in ones life is typically filled with excitement and happiness, photos taken during this phase are often regarded as some of the most precious images taken by those who take the time to have images captured to media. The images Carol takes during the early part of a pregnancy generally have a focus placed on the parents. As a mother begins to show and baby makes his/her presence known to the world Carol like to photograph the mother and in various poses that showcase baby and belly. Some couples enjoy appearing in these photos together which is also encouraged by Carol. The joy and sense of togetherness shine through in photographs taken during early and mid pregnancy. Once a baby has arrived Carol makes it a point to not only photograph newborn babies but also encourages parents to partake in the shoots. Carol aims high and uses stylish poses, backgrounds, and lighting to create fantastic photographs that will quickly become lifetime keepsakes. Carol also makes certain that all of the pictures taken of the entire family just after the birth of the baby contain not just the images but emotion as well. The love parents have for a newborn baby is unmatched and Carol prides herself on being able to incorporate that love into each image. Babies grow into toddlers rather quickly and its important to capture as many images of them as possible before they leave infancy. If you are pregnant or have a newborn baby that you'd like to have photographed please contact Carol and book and an appointment today! Here at Treasured Moments Photography we offer a wide variety of services and we like to talk about them every so often. This month we'd like to showcase our Orange County High School Senior Photos services. Senior pictures are a long standing tradition that nearly everyone participates in. For students Senior pictures represent accomplishment, maturity, and the future while parents will look at these pictures as the last photograph their child takes before entering adulthood. At Treasured Moments Photography we understand how important senior pictures are to both parents and students. We strive to capture not just the student but his/her personality as well. An experienced Orange County professional photographer will have the ability to do this which helps to create fantastic images and images you'll look fondly on in the years to come. 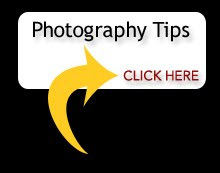 Some parents may shy away from Senior pictures because of the sometimes overinflated cost and small number of options that come with packages offered by large photography companies. We offer affordable packages that work with all types of different budgets. Additionally we not only handle Senior pictures but also offer graduation and sports packages. These packages give parents and students an opportunity to capture memorable moments to print so that they can be fondly remembered down the line. The holidays are rapidly approaching and after they've passed, schools, students, and parents begin looking to graduation. If you haven't had any senior pictures taken yet or would like to book a shoot for graduation please contact us!